The traditional New Year festival of Cambodia, Laos, Myanmar and Thailand was celebrated in a ceremony in Ho Chi Minh City on April 12th. What Is Driving Consumer Spending In ASEAN? ASEAN is the world’s third largest consumer market, just behind China and India. Nomura, the Japanese investment bank, forecasts spending in the five largest ASEAN countries can grow by 50% by 2020. This equates to an annual spending growth of nearly 17%. A regional minimum benchmark could harm efforts to close the development gap between Southeast Asian countries. Singapore and Ghana have signed a Double Taxation Avoidance Agreement (DTA) on March 31, 2017. The agreement aims to reduce double taxation and tax disputes by clarifying the taxation rights on all types of income flows arising from cross-border business between the two countries. The DTA aims to reduce trade and investment barriers and increase trade flows between the two countries. The Association of Southeast Asian Nations (ASEAN) Summit meetings set in Bohol later this month will push through even as the province is reeling from a firefight between government forces and the bandit Abu Sayyaf Group, local officials said Wednesday. 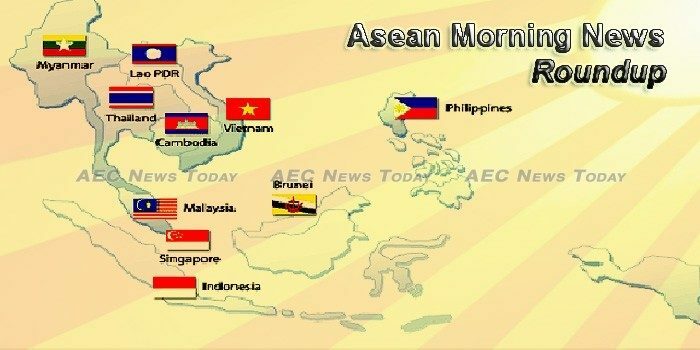 PRIME MINISTER Prayut Chan-o-cha will attend the Asean summit in Manila on April 29 to discuss community building as well as regional and global issues, the Foreign Ministry said yesterday. With the Trans-Pacific Partnership (the TPP) coming to a dramatic end, and further liberalisation of trade regulation through the World Trade Organisation unlikely, regional and bilateral agreements will be the focus in the Asia Pacific. This article considers recent developments and future prospects for liberalisation of trade and investment regulation across the Asia Pacific. MULTINATIONAL GIANT GE is set to boost its presence in Singapore with a new Asia Digital Operations Centre. The centre will be the first of its kind in Asia for GE to support the group’s global IT services and operations. It will also mark the start of GE’s investment and commitment to develop digital industrial capabilities in Singapore, the New York-listed group said yesterday. Most Southeast Asian stocks settled higher on Wednesday as energy shares climbed on reports that Saudi Arabia was lobbying oil producers to extend an output cut, but the rising geopolitical woes curbed gains. Investment in Cambodia’s construction sector saw a 22-percent decline in the first quarter of 2017 compared with the same period in 2016, the Khmer Times reported on Wednesday, citing government figures. Khmer New Year could bring a fruitful financial harvest for sellers of bananas—this year’s divinely selected crop—but some vendors say their sales have not yet ripened. Kingdom, Prime Minister Hun Sen announced yesterday. The Cambodian government has announced it will schedule monthly press briefings, following meetings with German officials. Two key witnesses in a lawsuit against General Hun Manet, Prime Minister Hun Sen’s eldest son, are due to appear in a U.S. court on Thursday, more than a year after a civil case was filed against the deputy military commander. Opposition leader Kem Sokha on Wednesday maintained that a majority of Cambodians are yearning for political change, a claim a ruling party spokesman branded a lie. Tens of thousands of workers contracted by the government to prepare Cambodia for the June 4 commune elections, many of whom are still waiting to be paid for work in February, will have to wait for their March and April salaries until after Khmer New Year. The Cambodian version of Chinese President Xi Jinping’s book on the governance of China was released on Tuesday in the capital of Cambodia. Khmer Beverages Co., Ltd. is organizing Cambodia Charity Run & Ride 2017 – a fund-raising event in Phnom Penh. A group of four Cambodian “illegal” migrants jailed in Thailand say they were forced to bribe authorities there to take them back to Cambodia, officials said this week. *AEC News Today wishes all of its Cambodia morning news readers a safe and enjoyable Choul Chnam Thmey. Happy New year! Muslimarket.com, one of Indonesia’s upcoming e-commerce Muslim marketplace platform, has closed its series A funding, that values the company at around $10 million. The startup raised the series A funding from seed stage venture capital firm 500 Startups, a local investment firm, and few unnamed individual investors. Indonesia is known as the second most productive and profitable construction market in Asia, where a huge number of construction projects are undergoing in both residential as well as non-residential sectors. New rules will make filing tax returns and obtaining an exit visa a little easier for expats. Aberdeen Indonesia Fund, Inc. is a non-diversified closed-end, management investment company. The company has market cap of $67.96 million. Indonesia’s Pertamina plans to import 6.8-7.5 million barrels of gasoline in May, down 11%-19% from the 8.4 million barrels estimated as April imports, according to market sources. In October 2018, Indonesia will host the annual meetings of the International Monetary Fund and the World Bank in the Balinese resort area of Nusa Dua. This is an important occasion: These annual talks take place outside Washington only every third year and involve thousands of high-level participants from across the globe. In its latest foray outside of China, Ant Financial has teamed up with Indonesia’s Emtek Group on a mobile payments and financial services joint venture. Rocket Internet-backed South East Asia’s budget hotel company, ZEN Rooms, has closed its $4.1 m series A round, led by Korea’s Redbadge Pacific and SBI Investment Korea. The Indonesian government has offered 225 projects to the Islamic Development Bank (IDB) during the third IDB Sovereign Investment forum in Bali. THE Indonesian digital ecosystem is increasingly moving towards utilising cloud and data centres in the government and private sectors to increase transparency and offer faster access. Panorama Sentrawisata (Panorama Group) announced today that the agreement to divest 30.1 per cent shares of its unit Panorama Tours Indonesia to Japan’s JTB Corporation has officially been completed. Meanwhile, Malaysia’s Federal Land Development Authority (Felda) has reportedly begun the process of transferring shares of Eagle High Plantation to FIC Properties. A Cessna C208 Caravan aircraft of Spirit Avia Sentosa airlines, known as Flying SAS, disappeared from radar screens in Papua on Wednesday (12/04). The Jakarta Police have established a new team to tackle increased traffic congestion in the capital city. Indonesia is seeking to stay out of U.S. President Donald Trump’s bad books, using a visit by his deputy Mike Pence next week to reassure on its commitment to free and fair trade. Publicly listed retail store chain operator Sumber Alfaria Trijaya is planning to raise Rp 1 trillion ($75 million) from a bond sale to refinance debt, the company announced on Wednesday (12/04). Losses amounting to hundreds of millions of dollars appear to be pushing the Indonesian government and mining giant Freeport McMoRan to resolve a row that has crippled operations at Grasberg, the world’s richest copper mine, for three months. Bus operator Transjakarta has announced a plan to take into serve as many as 300 low-entry buses this year to serve passengers outside the designated busway lanes. Attorney General Muhammad Prasetyo indicated that Indonesia would continue to execute convicts when he confirmed that the government would not implement a moratorium on the death penalty despite mounting calls from human rights groups. Private lender PT Bank Danamon Indonesia will pay Rp 934.15 billion (US$70.36 million) dividend or Rp 97.48 per share to its shareholders. Saudi Arabia authorities have deported 200 Indonesian umrah (minor haj) pilgrims for allegedly violating immigration laws by working illegally in the country, which hosts the largest number of Indonesian migrant workers. The National Police have launched an extensive manhunt across the country to track down the drive-by assailants who threw acid into the face of prominent Corruption Eradication Commission (KPK) investigator Novel Baswedan early on Tuesday morning. Indonesian Agriculture Minister Andi Amran Sulaiman will evaluate the export of palm oil and palm oil-based biodiesel to Europe in response to the European Parliaments allegations which harms the national palm oil industry. Jakarta Police Chief Inspector General M. Iriawan has passed order for closer watch around the city police headquarters to forestall terror attacks. The Saudi government is looking into the possibility of establishing a university in the Indonesian province of South Sulawesi. The National Counterterrorism Agency (BNPT) and the Financial Transactions Analysis and Reporting Center (PPATK) have signed a memorandum of understanding (MoU) to strengthen efforts to prevent and eradicate terrorism financing. Indonesia’s bank deposit insurance agency is discussing ways to bolster its 75 trillion rupiah (S$7.88 billion) war chest which a top official says is insufficient for its new mandate of restructuring banks on top of bailing out depositors. Telkom users in Indonesia can now enjoy Netflix after the streaming giant signed an agreement with the largest telco in Indonesia, according to an e27 report. The Indonesia stock market on Wednesday ended the three-day slide in which it had given away more than 50 points or 0.9 percent. The Jakarta Composite Index now rests just shy of the 5,645-point plateau, although the market may hand back those gains on Thursday. A volcano on Indonesia’s Sumatra island spewed hot smoke and ash high into the air Wednesday (Apr 12), in its latest violent eruptions. Lao government orders closing down environmentally destructive Chinese banana farms, first reported in January in Bokeo province, are now in force in six other provinces in the Southeast Asian country, sources say. The Chinese embassy in Laos presented office equipment to Lao Ministry of Defense on Tuesday. A ceremony was held in Lao capital Vientiane with the participation of Zhao Chenggang, Charge d’affaires of the Chinese embassy in Laos and Lao Deputy Minister of Defense Onsy. *Lao Morning news is restricted in content today due to the Lao New Year. AEC News Today wishes all of its Lao morning news readers a safe and enjoyable Pii Mai. Happy New year! Peer-to-peer (P2P) financing platform Funding Societies aims to disburse between RM10 million and RM20 million to 100 to 200 small and medium enterprises (SMEs) here this year. RHB Banking Group has joined Funding Societies Malaysia, a P2P financing platform, in a partnership to expand funding opportunities for SMEs in the country. SP Setia Bhd is said to be the highest bidder for a residential project in Toh Tuck Road in Singapore with an estimated bid of S$265mil (RM837.66mil). Portfolio adjustments among foreign funds could see a further selldown in Malaysian Government bonds, but this could be more gradual than in recent months. The Inland Revenue Board (IRB) is set to come down hard on 20 large companies that owe the government RM1.4 billion in taxes. Beginning Jan 1 next year, the Inland Revenue Board (IRB) will impose a 100 per cent penalty on the tax of individuals and companies dodging payment or filing incorrect income tax returns. Heineken Malaysia Bhd has reported a satisfactory performance for its first quarter ended March 31, 2017 despite challenging market conditions compounded by economic pressures. While it has maintained its positive stance on the construction sector, MIDF Research cautioned that the current “risk-taking mode” sweeping the market should be tracked closely. Mr Peter Chong, a former city councillor and social activist who was reported missing since last Friday, has been spotted crossing the border by bus into Thailand, Malaysia’s Inspector-General of Police said yesterday. Prime Minister Najib Razak appointed his cousin, Datuk Seri Hishammuddin Hussein, “Minister with Special Functions” yesterday, a move that immediately set tongues wagging after recent discord between the Malaysian leader and his deputy, Datuk Seri Ahmad Zahid Hamidi. Heineken Malaysia Bhd saw its net profit fall 3.7% to RM48 million in the first quarter ended March 31, 2017 (1QFY17) from RM50 million a year ago, on lower revenue. EVERSENDAI Corp Bhd said its revenue should grow more than 27 per cent to RM2 billion this year, although a local research house is not as optimistic. The construction sector is expected to grow eight per cent to RM170 billion this year, said a top industry executive. The government has agreed to streamline the excise duty rate for two-and four-wheel drive vehicles with engine capacity of not more than 1,500cc to 60 per cent effective immediately. One of the main thrusts in Budget 2018 is to lay foundations for the National Transformation 2050 (TN50) plan envisioned by Prime Minister Datuk Seri Najib Tun Razak, said Treasury Secretary-General, Tan Sri Dr Mohd Irwan Serigar Abdullah. Japan’s Crown Prince Naruhito said Tuesday that he believes Malaysia’s success is based on its diversity and tolerance, and the country can be a model for a world faced with conflicts. Total trade between Myanmar and Mid­dle Eastern coun­tries reached $332.874 million in the first 10 months of this fiscal year, 2016-2017, official media reported. Prior to the Myanmar New Year Thingyan Festival, 1,883 prisoners who have observed the rules and behaved well in various prisons and detention camps had their sentences reduced in order for them to be released yesterday morning, and included 453 from Insein Jail. Scotland and Myanmar boast historic links which dates back to 1886, when a Scottish firm arrived in then-Burma to drill oil. In an interview at the US Embassy in Rangoon in February, The Irrawaddy’s English editor Kyaw Zwa Moe talked to the US Ambassador to Burma Scot Marciel about the country’s troubles and achievements over the past year. International Finance Corporation (IFC), a member of the World Bank Group, and the Securities and Exchange Commission of Myanmar (SECM) signed a memorandum of understanding (MoU) in March to strengthen corporate governance regulatory standards and practices in Myanmar. The crude oil tanker United Dynamic, carrying 130,000 metric tons of crude oil, arrived in Made Island, Kyaukpyu Township, Rakhine State from the Middle East on 10 April and discharged its cargo into crude oil storage tanks yesterday morning, completing the first step toward a trial pumping of crude oil through a pipeline across Myanmar into China. In Hlaing Thar Yar township of Yangon, dirty water has been a problem for a long time. Local residents like Aung Soe Min have to buy drinking water from shops, resulting in a substantial financial burden. The Myanma Timber Enterprise (MTE) announced on 11 April that 19,408 tonnes of teak and hardwood logs will be sold by the open tender system. A Burmese language media called ‘Thit Htoo Lwin’ published a report on April 8 alleging the Rohingya villagers in southern Maungdaw held meetings for days to form an armed outfit. Tenders will be invited for 10 projects including the upgrading of the Yangon circular railway this month, said an official from Myanma Railways. A total of 1,883 prisoners were released on Wednesday ahead of Myanmar new year water festival which is to start on Thursday, Myanmar State Counselor Office announced. Eleven Media Group, a well-known media organization, have not been given rights to one of the five private digital free-to-air channels to be allowed by the government. On 30th March 2017, the Ministry of Planning and Finance published Notification 35/2017, the final version of the Myanmar Investment Rules (MIR) issued under the Myanmar Investment Law 2016 (MIL). We have already commented on the draft versions of the MIR, click here to read our previous alert on this topic. Global venture capital firms Accion Venture Lab and DeepBlue VC have led an investment round into Philippine-based online lending startup First Circle, bringing the fintech company’s total seed funding to $2.5 million. Philippine President Rodrigo Duterte on Wednesday (Apr 12) pulled back from a vow to place his country’s flag on an island in the Spratlys chain claimed by China and other regional states. Seven business-to-business deals worth an estimated $470 million are to be signed by Filipino and Saudi businessmen during President Rodrigo R. Duterte’s three-day state visit here. he Department of Labor and Employment (DOLE) has allocated P10 million to fund and complete the development of its new overseas Filipino workers (OFW) ID this year. Investors continued to ignore the auction of term deposits as funds shifted to retail treasury bonds (RTBs) offered by the government as well as the foreign exchange market. The Foundation for Economic Freedom (FEF) is warning of “significant shortages” and “increased rice prices” in the country following President Duterte’s recent order to suspend rice importation. The government has deferred its plan to embark on another exploratory trip to the 13-million-hectare Benham Rise this week due to an expected low-pressure area in the vicinity. President Rodrigo Duterte’s campaign against criminality and corruption could further convince Saudi investors to establish businesses in the Philippines, Presidential Spokesperson Ernesto Abella said. The Securities and Exchange Commission in the Philippines has closed down a boiler room operation being run by foreign nationals. Government security forces clashed with Abu Sayyaf Group (ASG) bandits in a town in Bohol on Tuesday, leaving 14 people dead, including four government troops, The Manila Times Online reported on Wednesday. Investment bank Credit Suisse said an effective tax amnesty program would face hurdles in the Philippines due to the country’s strict banking secrecy law. Labor Secretary Silvestre Bello on Wednesday said Jennifer Dalquez, the overseas Filipino worker (OFW) who is currently on death row in Abu Dhabi, will be spared from execution. TAX REFORM — which the government, multilateral lenders and credit raters regard as indispensable support for efforts to spur state spending — currently faces “a pretty hostile environment” due to populist pressures lawmakers could succumb to, the Finance department said in a statement on Wednesday. The Bureau of Internal Revenue (BIR) has listed down individual taxpayers who are required to file income tax returns (ITR) even as the deadline for its submission is on Monday (April 17). A drug suspect was killed in a police operation early Wednesday (April 12) in Hagonoy town, one of the 11 suspects who fired at policemen and were killed in Bulacan’s anti-drug campaign for the last three weeks, police said. Social media giant Facebook has suspended the accounts maintained by the Communist Party of the Philippines (CPP). Singapore’s central bank kept its exchange-rate based policy unchanged as expected on Thursday, saying a “neutral” stance will be needed for an extended period of time. Singapore’s trade-reliant economy shrank 1.9 percent in the first quarter from the previous three months on an annualised basis, weighed by contractions in manufacturing and services, preliminary data showed on Thursday. SINGAPORE’S economy grew 2.5 per cent in the first quarter of 2017 compared to a year ago, after easing 2.9 per cent from the fourth quarter of 2016. FINANCIAL institutions from both Singapore and Shanghai signed several agreements on Wednesday amid efforts to enhance capital markets, boost ties between banks and corporates, and raise collaborations with financial technology (fintech) firms. lenders to restructure its debt or raise new equity. Singapore’s economy grew a slightly less-than-expected 2.5 per cent in the first quarter of 2017 from a year earlier, easing from the 2.9 per cent growth in the previous quarter, according to advance estimates released by the Ministry of Trade and Industry (MTI) on Thursday (April 13). Singapore has deployed its Boeing F-15s to Guam for training with the United States Air Force for the first time, according to the Southeast Asian island state’s defense ministry. The Corrupt Practices Investigation Bureau (CPIB) said the number of cases registered for its investigation hit the lowest last year. The gong of most-liveable city for Asian expats remains Singapore’s, for the 18th year, but the Republic’s lead has been narrowing because of worsening air pollution, an annual survey by consulting firm ECA International shows. The number of graft complaints registered for investigation hit a record low last year, with the 118 cases representing an 11 per cent drop from 2015. The Ministry of National Development (MND) has presented to Parliament the Aljunied-Hougang Town Council’s (AHTC) audited financial statements for the financial year ending March 2016, as required by law. The Monetary Authority of Singapore (MAS) is keeping its exchange rate policy unchanged amid modest improvements in both economic growth and inflation. On Sunday (April 16), commuters on the North-South Line may be riding in the first of a fleet of new trains, outfitted with fresh features, ranging from more comprehensive information displays to brighter LED lighting. of the Association for Persons with Special Needs (APSN). SINGAPORE’S central bank opted to keep its neutral policy stance of zero per cent appreciation of the S$NEER (Singapore dollar nominal effective exchangerate), adding that such a stance is needed for an “extended period”. A SINGAPORE company is making waves in the world of e-commerce – and doing it by using big data. A Housing and Development Board (HDB) flat is a “good store of asset value” for those who plan ahead and make prudent housing decisions, National Development Minister Lawrence Wong said. Shanghai Pudong Development Bank (SPD Bank) announced Wednesday that it had established a branch in Singapore. The Prime Minister has urged all Thais to celebrate Songkran traditionally while safeguarding the nation’s key institutions. Thai Airways International (THAI) has asked to extend its investigation into the Rolls-Royce bribery scandal involving former executives to the end of this month, Transport Minister Arkhom Termpittiyapaisith said. The cabinet has approved three programs aimed at developing rice production output, with a budget totaling over 25 billion baht. The Ministry of Digital Economy and Society has urged members of the public to stop following on social media three persons who regularly posted messages deemed to violate the lese majeste law. THAILAND’S public debt outstanding as of February 28 was Bt6.09 trillion, up Bt30.58 billion or 0.5 per cent from January 31, while the Japan Credit Rating Agency (JCR) has maintained Thailand’s credit-rating ceiling at “A+” with “stable” outlook, the Finance Ministry’s Public Debt Management Office (PDMO) reported yesterday. The Office of Consumer Protection Board has launched an investigation into the recent Tour to Japan scam in Nakhon Sawan Province, while Prime Minister Gen Prayut Chan-o-cha, has advised citizens to seek extensive information before making purchase decisions. Bidding for construction of the Thai-Chinese joint rail development scheme is expected to take place during July-August, Transport Minister Arkhom Termpittayapaisith said. Prime Minister Prayut Chan-ocha urged all political stakeholders to have patience, saying that election process will begin next which is still within the 8-month timeframe. The Ministry of Agriculture and Cooperatives is developing an e-card program for farmers, in order to provide convenient government information to cardholders, as part of the government’s Smart Farmer program. Bangkok Mass Transit Authority, the operator of city bus service, has scrapped its contract to procure a fleet of 498 NGV buses from Bestlin Group effective as of Wednesday. Charoen Pokphand Foods (CPF) has been the first food company in Thailand to exploit New Zealand’s policy change that allows imports of cooked Thai duck for the first time ever. The U.S. Meat Export Federation (USMEF) reported that U.S. beef has gained expanded access to Thailand now that bovine spongiform encephalopathy-related import restrictions have been lifted. The Department of Special Investigation plans to seek warrants for the arrest of over 2,400 people suspected of involvement in a major illegal money lending syndicate said to have networks throughout the country. 2017 marks the 7th anniversary of military operations against red shirt protesters in April 2017. Though many years have passed, justice for the deceased and injured victims of state-sanctioned political violence has yet to come. SET-listed Energy Absolute Plc (EA) will join a Taiwan-based subsidiary and a Chinese company to develop a plant to produce batteries for renewable power systems and electric vehicles. Somsak Boonkam’s start-up Local Alike, which matches foreign tourists’ interests to specific experiences being offered locally, is one of 10 companies selected for an “accelerator programme” in sustainable tourism being organised by Booking.com. You can spend “Songkran in the Ancient Capital” at the Ayutthaya Historical Park tomorrow through Saturday (April 13-15), where elephants with trunk-loads of water are sure to get you in the mood. The Việt Nam Logistics Association (VLA) on Wednesday launched a ceremony to implement the Government’s first national action plan to improve the country’s competitiveness and its logistics sector by 2025. In recent years, Vietnam has demonstrated its determination to improve the business environment through measures such as institutional reform and simplification of administrative procedures. However, these efforts have not been effective because they are limited to the areas of business registration, investment procedures. In the next round of equitisation, State capital must be sold faster, at higher value, and the enterprises’ corporate governance must further improve, Deputy Prime Minister Vuong Dinh Hue has said. Accordingly, Hanoi calls for large-scale, high value-added investment projects using modern and environmentally-friendly technologies. The focus of investment attraction includes: Urban infrastructure, Nhat Tan – Noi Bai axis projects, clean agricultural infrastructure with high technology, retail, health care, education and culture. Apple Inc’s legal representative in Viet Nam, VOTRA Co Ltd, recently sent documents to Vietnamese phone stores on their illegal use of the brand’s trademark on shop banners and advertisements without Apple’s permission. Streamlining legal regulations and making a specific law on restructuring of credit institutions and settling bad debts are very necessary and must be done urgently, Prime Minister Nguyen Xuan Phuc said. Police in Vietnam’s central province of Ha Tinh have launched criminal investigations into a recent protest which involved around 2,000 people and has caused public disorder, a police officer said. The Central Highlands provinces have transformed cattle farming from a traditional, extensive grazing smallholder system to a more intensive, large-scale production to improve income of many local ethnic minority households. The Vietnamese auto market sold nearly 26,900 cars in March, an increase of 52 per cent compared with the previous month, according to a Vietnam Automobile Manufacturers’ Association report. Deputy Prime Minister Trinh Dinh Dung revisited the themes of macroeconomic stability and sustainable development yesterday as he urged a concerted effort to reach future growth targets. Vietstar Airlines, a military-run company, will have to wait for the completion of an expansion project at Ho Chi Minh City’s Tan Son Nhat airport before it can get a license to transport passengers and cargo, the Vietnamese government said. The recent suspension of rice importation by the Philippines, a major market, has sparked concern among Vietnamese rice exporters. The Vietnam Logistics Business Association (VLA) on April 12 launched the implementation of the Prime Minister’s decision approving an action plan to improve competitiveness and development of logistics services by 2025. Oversized billboards featuring popular brands have been common in Hà Nội for a long time now. However, removing these illegal billboards is trickier than erecting them, needing committed enforcement and companies to follow regulations. The Ministry of Transport has approved Uber Vietnam’s pilot project on applying technology in the management and connection of under-contract passenger transportation. Prime Minister Nguyễn Xuân Phúc has urged ministries, sectors and localities to seek measures to promote traditional herbal medicines, to take advantage of the country’s potential in the field. A survey by Vietnam Report JSC revealed today that leading firms in Việt Nam are more aware of the importance of corporate social responsibility (CSR) for their growth and prosperity. HCM City officials held a meeting on Tuesday to discuss what steps to take to improve the city’s Provincial Competitiveness Index (PCI), which dipped last year.